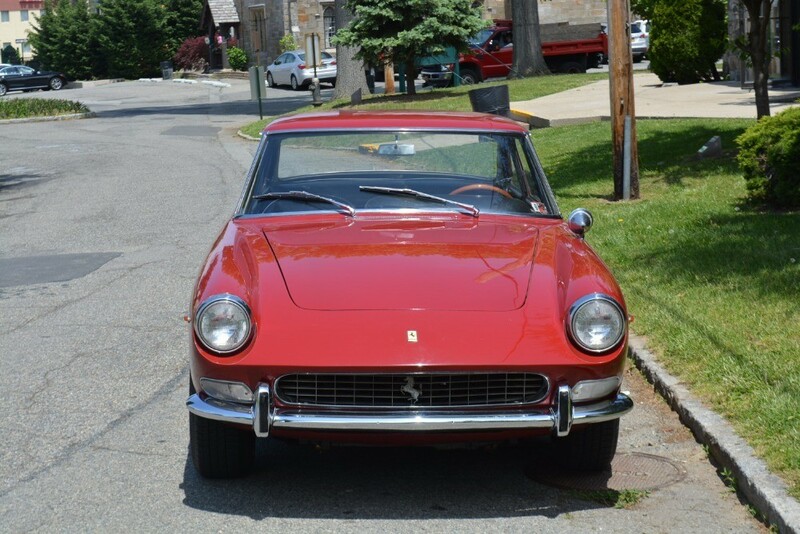 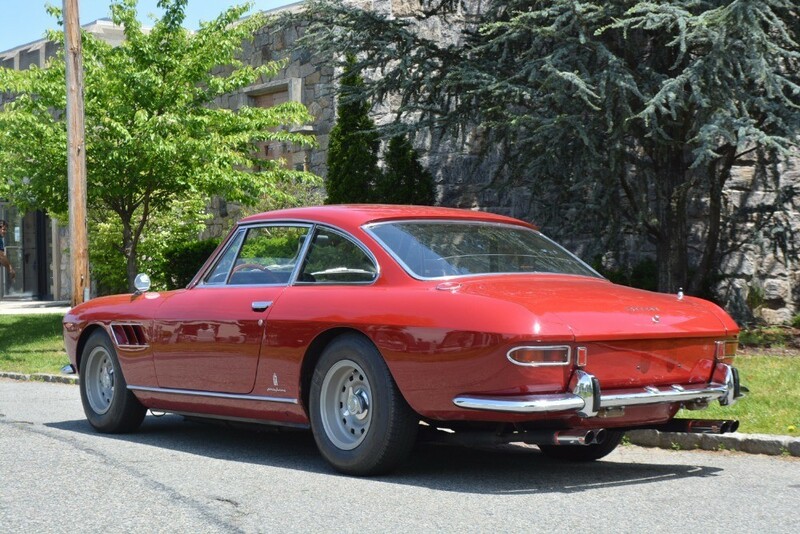 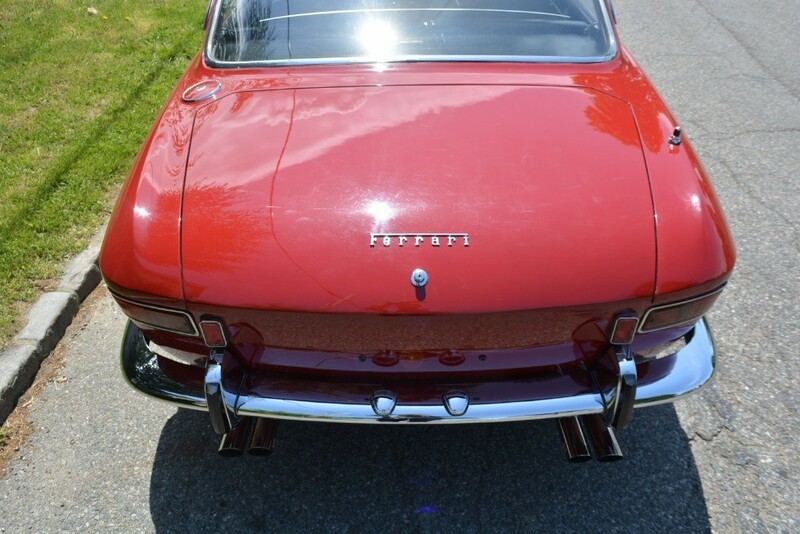 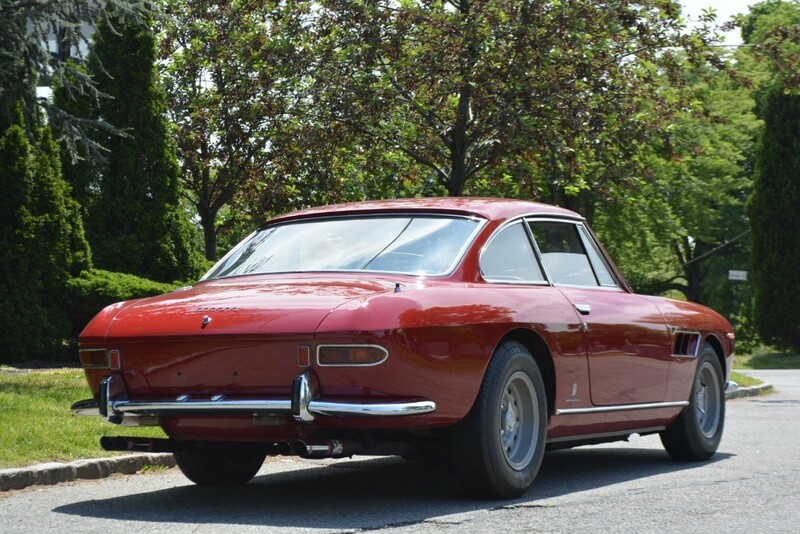 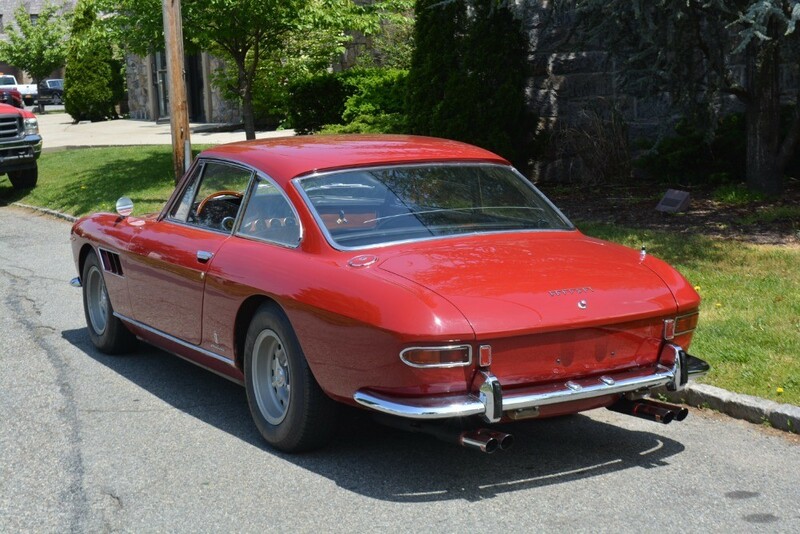 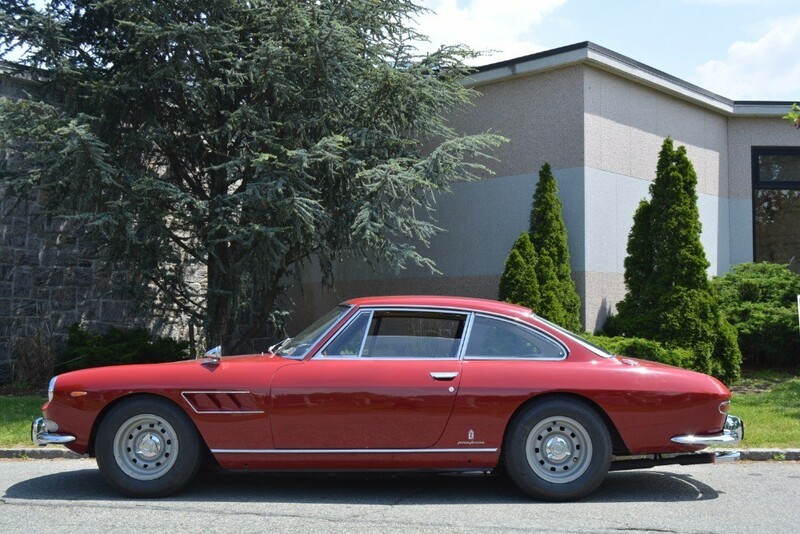 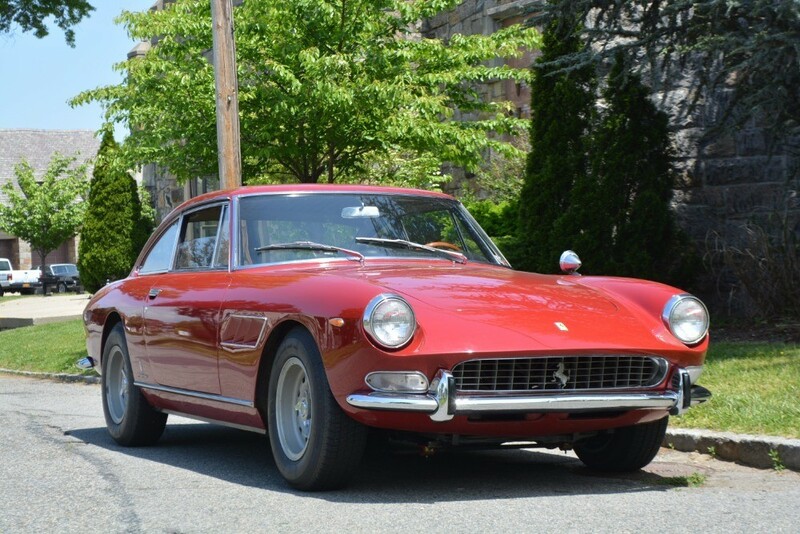 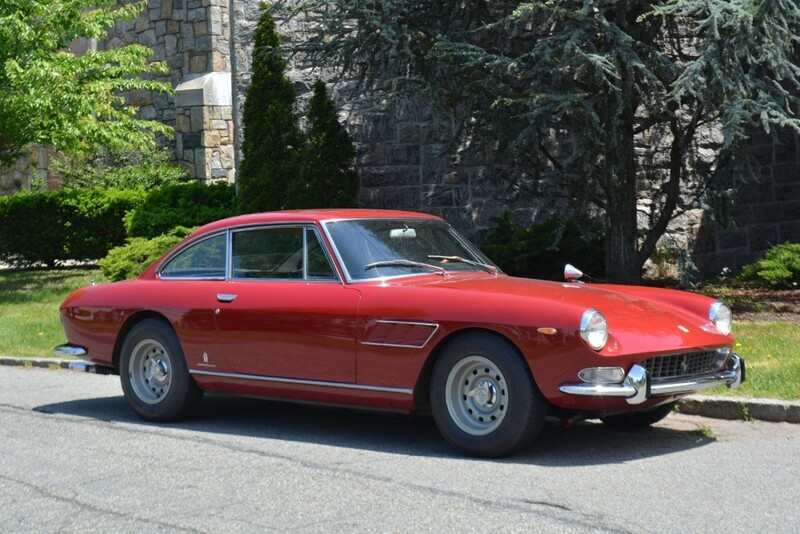 This 1967 Ferrari 330GT 2+2 Series II single-headlight car is a matching numbers example just out of 40 year ownership. 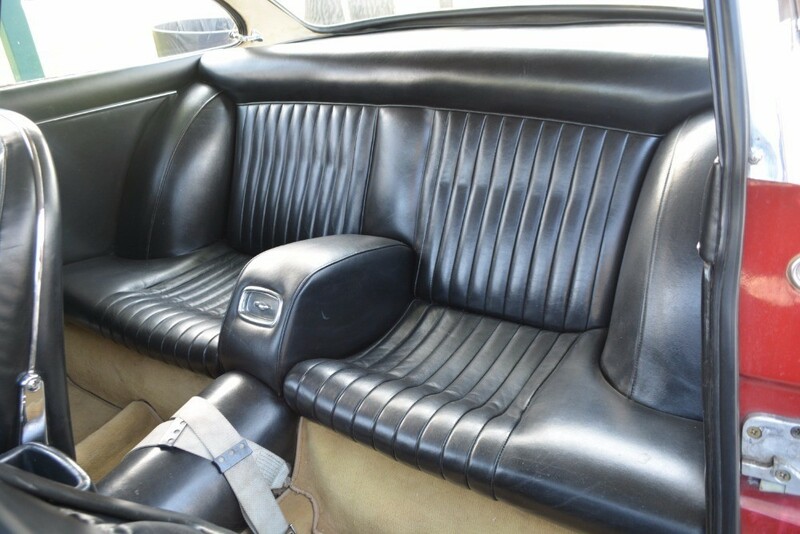 Red with black leather interior that's almost like new. 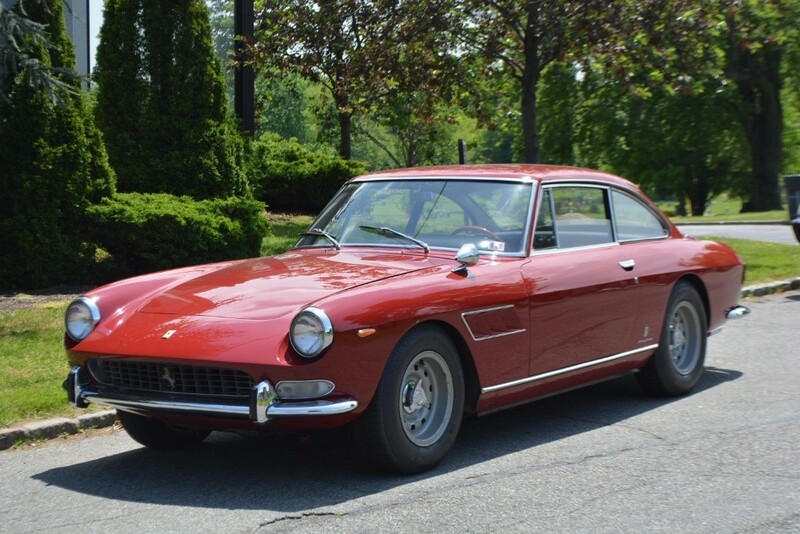 It's a very late Series II car with a high chassis number (only about 25 left the factory after this car). 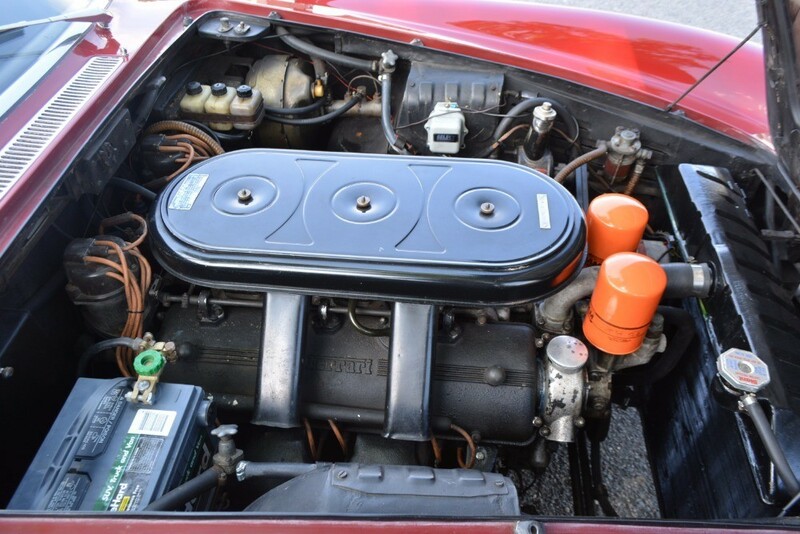 It also has power steering, power brakes, and power windows from the factory. 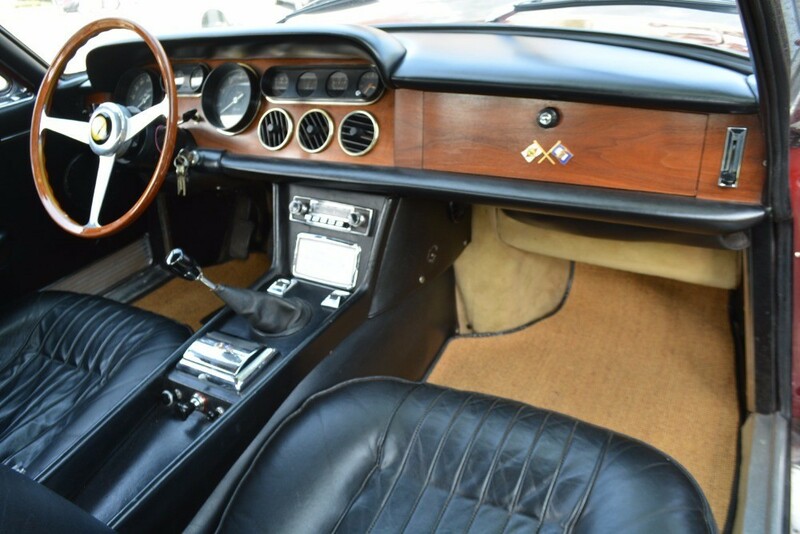 It's a European version with 99k km and a very presentable driver. 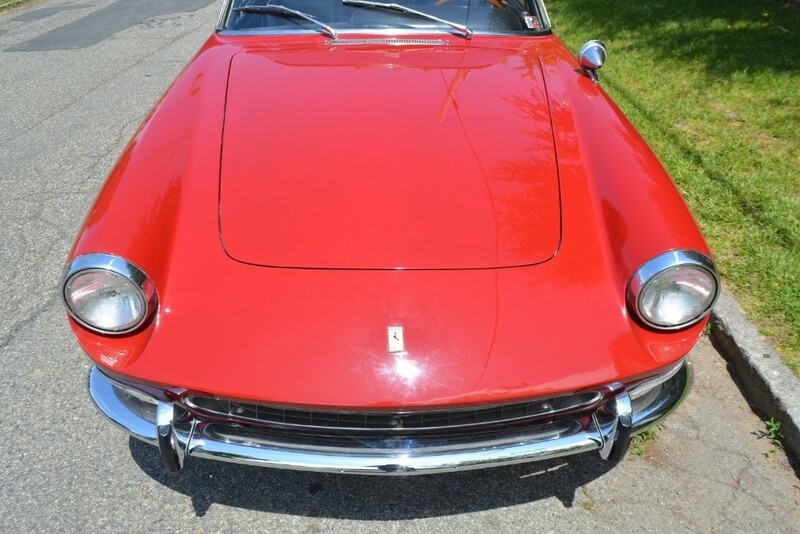 The original color was Light Metallic Green and it was painted Rosso Nearco in 1975. 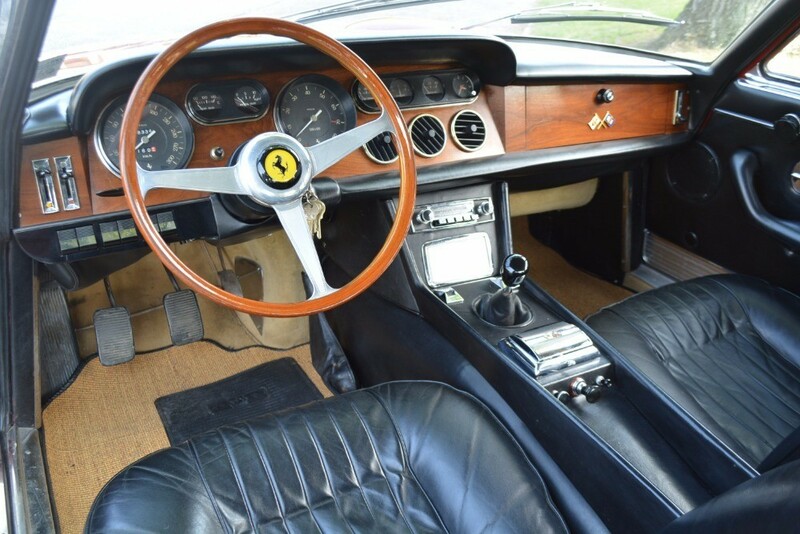 It was re-painted Rosso Nearco in 1981 and the bumpers re-chromed in 1982. 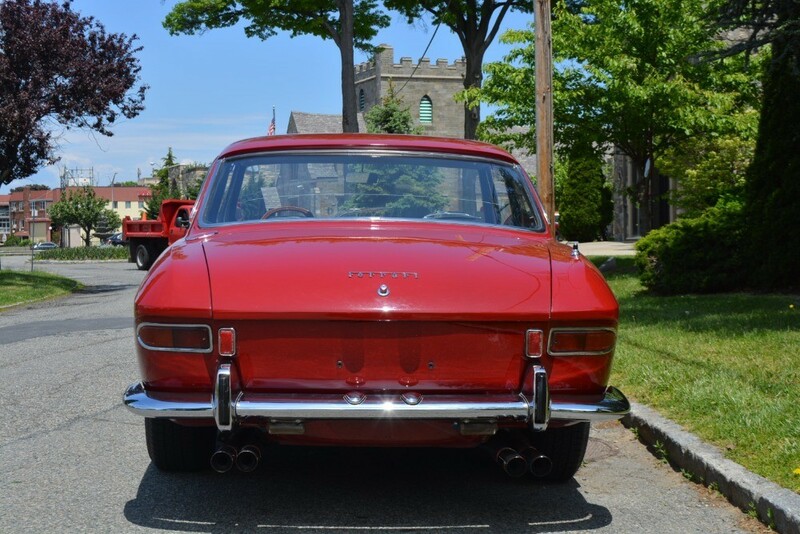 It could use some paint work at this point in order to be taken to the next level but is in very good condition overall with nice straight body panels. 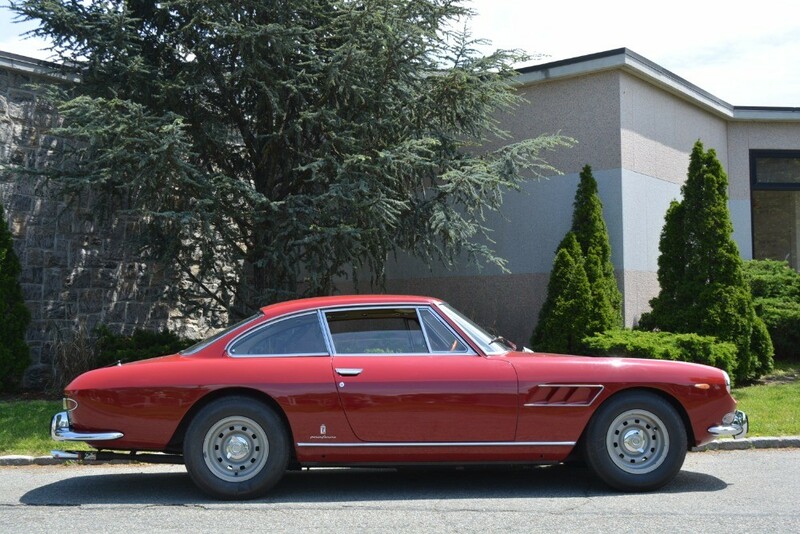 It comes accompanied by it's Marcel Massini report. 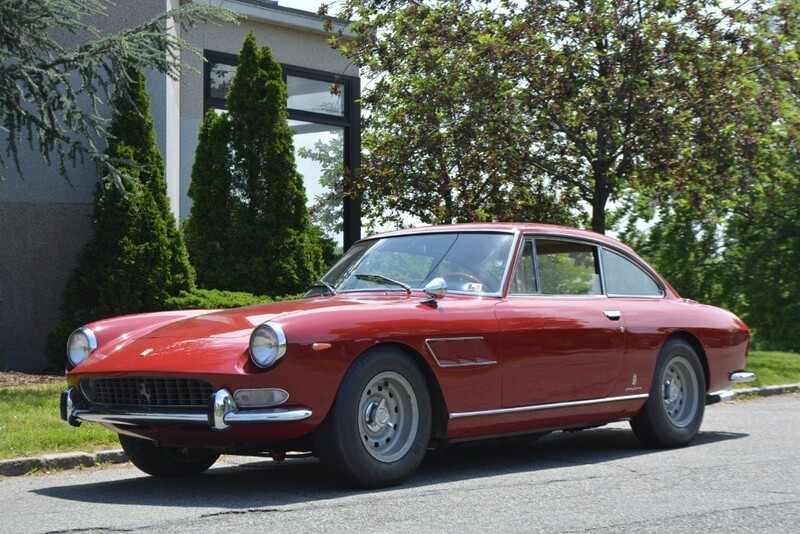 This 330GT is a prime consideration for the demanding Ferrari enthusiast in search of a high-quality example of one of the all-time great front-engined V-12 Ferraris.